Q. When was the click invented? I've been wondering: when was recording to a click first used? And when did it start to become widely used? Did they used to record to metronomes before the advent of MIDI? I've tried searching the Internet for answers to these questions but haven't found any answers. We owe a lot to Disney's production of Fantasia, which, among other things, introduced the method of using a click track. SOS Technical Editor Hugh Robjohns replies: I'm sure people must have recorded using metronomes in the early days but, as far as I'm aware, the first documented use of a 'click track' in the modern understanding of the term was by Walt Disney's team for the Fantasia film soundtrack back in 1940. The requirement was to be able to pan different orchestral sections around the auditorium via six speaker arrays: three across the front and three across the back. To do that, they needed to record the sections to separate tracks (remember this was in the days of mono optical film audio machines locked together with chains and sprockets!) and so they used a click track to keep the sections in time on each take. 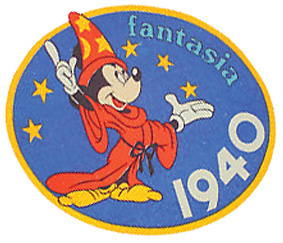 The Fantasia project introduced a lot of things we take for granted today such as click tracks, pan-pots, VCA level automation, multitrack recording, overdubbing, surround sound and more besides! However, the Second World War took the focus away from sophisticated surround-sound cinema productions, and the click-track idea didn't really surface again until MIDI sequencing and quantising became commonplace in the 1980s.